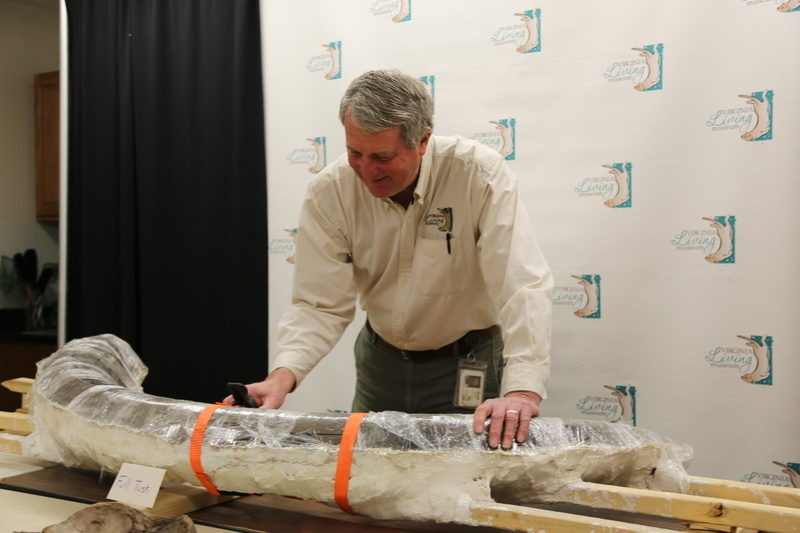 The Virginia Living Museum’s collection of Mastodon bones has been named as Virginia’s Top 10 Endangered Artifacts and could potentially receive an award of $7,000 in Conservation Grants from the Virginia Association of Museums (VAM). 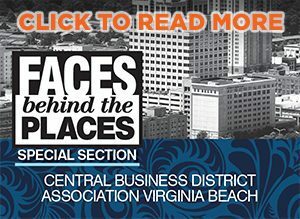 The 2018 Virginia’s Top 10 Endangered Artifacts bring our past to life and help showcase the need for conservation. One of the 10 artifacts is the VLM Mastodon Bone Collection, excavated from a site in Yorktown. The collection of fossils represents the second Mastodon ever to be discovered in Virginia and is the first such discovery east of the Blue Ridge Mountains. 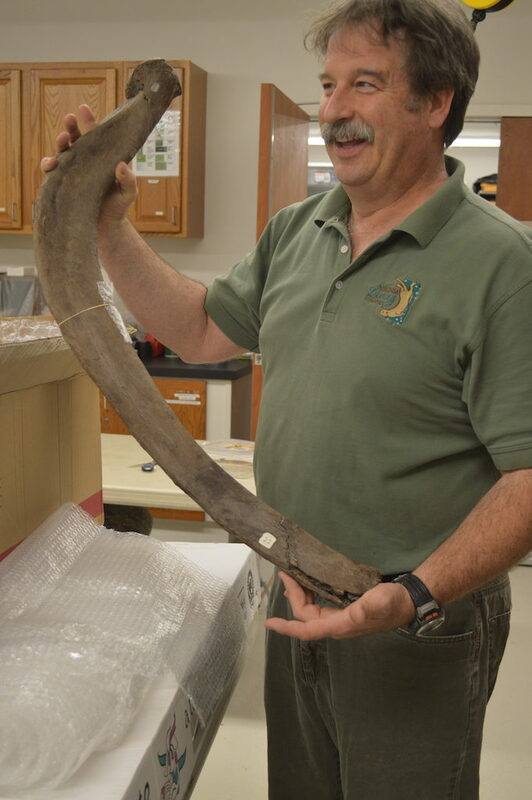 The extinct elephantine mammal was last known to roam the earth more than 12,000 years ago, and their fossils are extremely rare finds in Virginia. The collection comprises 20-25 percent of a full Mastodon and includes a complete tusk, a near complete foot, a partial jaw, a humerus bone, several ribs, several teeth and many other bones. While the full animal is not intact, the condition of the fossil collection has the potential to be preserved well enough to share this mastodon’s story. To learn more about Virginia’s Top 10 Artifacts, visit VaMuseums.org.